The Motorola Moto X is having a quick sale that starts today, and runs through tomorrow. Hey, we told you it was fast. Starting today, you can save $100 on the 32GB Motorola Moto X. That brings the price down to $349 for the device. The "flash sale" will also take $100 off the price of the Developer Edition of the phone. As we told you last week, Motorola no longer will be producing the Moto X deep in the heart of Texas. Better watch what you say around the device, as the Motorola Moto X is "always listening" for you to say "Okay Google," to help you find requested information. Active Notifications allow you to read your important messages right from the lock screen. 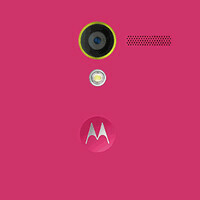 Apply for Motorola credit and the phone can be priced at zilch, zippo or zero at checkout. And there is special financing available, that will get one of these puppies in your hands for as little as $25 a month. And even with the discount, or special financing, you can still go through the Moto Maker site and build an Android headset that is as unique as you are. Or cleaning out their inventory from the Texas plant. $449 is too much when you can get the Nexus 5 for $50 less. I wouldn't call this a good deal. Read much? "Starting today, you can save $100 on the 32GB Motorola Moto X. That brings the price down to $349 for the device." Read much....its a two day deal, and even then the nexus at that point is $50 more. After the deal it is again $50 less than the moto. Riddle me this: If people buy the Moto x during the two-day sale, then is it costing them $50 less than they'd pay for a Nexus 5? Except that the Moto X has some features the Nexus doesn't, so the extra $50 might be worth it for some. I'm not hating on Moto, but I think your right. It is long in tooth in 2014. Agree with you guys Idk how moto justify their pricing point anymore. Got mines for $321, that's with tax added.